Supports integrated Inbound/Outbound processing of fax documents. To enable fax functionality, you require a CALLMaster software license and the Dialogic board must have fax capability. Inbound faxes can be received into specified mailboxes or default mailbox, and in turn can be forwarded via email to the mailbox owner as tif attachment. Outbound fax supports Fax on Demand, which in conjunction with Audiotex, allows callers to directly retrieve a fax document. This greatly reduces the overhead in distributing common business documents like Direction, Hours of Operations, Specials of the Month, Application forms, Product information. Build cost effective fax servers for document faxback and fax mail. 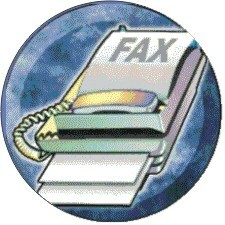 Fax Broadcast Notification; Fax Back Server; Inbound Fax Mail.